When I'm not blogging for DAO, which happens to be most of the time, I have a day job. Get this. 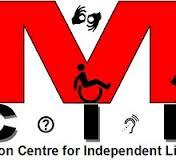 Engagement and Development Worker for Merton Centre for Independent Living (MCIL). One of my responsibilities is to engage with the wider community and in particular with hard to reach groups. The LGBT community is not one that I am charged with finding,meeting and relating with but MCIL know that i'm putting my feelers out. In some ways this young, hungry organisation was ahead of me. A funder said we should be monitoring participation within MCIL in accordance with sexual orientation. No one is showing up on the figures yet. I've spoken to a local activist who identifies as a gay man and contacted the council's equalities office. Not much seems to be doing locally. Another tool I use is my diversity calendar. It tells me that this month is LGBT History Month. The website for the same tells me that the theme this year is combating homophobia through music. So, i've set a challenge on the MertonCIL facebook page for members to identify music in support of the LGBT community or music by LGBT artists that demonstrates acceptance within society. I started the process with the Tom Robinson Band's, 'Power in The Darkness', which is a favourite song of mine but which also worries my liberal consciousness through the voice over of a political bigot denouncing civil rights activists with inappropriate language but which ends with the killing rejoinder 'Freedom from the likes of you'. I repeat the feat, and the challenge here. Join the list making and you tube video playing and whilst you're at it why not go to the MertonCIL facebook page and like it. We need to keep on growing inclusively.